Two persons have been confirmed dead when a fight broke out today at Fadeyi, Ikorodu road area of Lagos State among hoodlums popularly called ‘area boys’. The two persons were a dispatch rider killed by a stray bullet when he rammed into the scene and an unidentified man from the hoodlums. Although Fadeyi is noted for incessant cult clashes, residents of the area confirmed the fight was between two factions of “area boys” of two streets in Fadeyi. 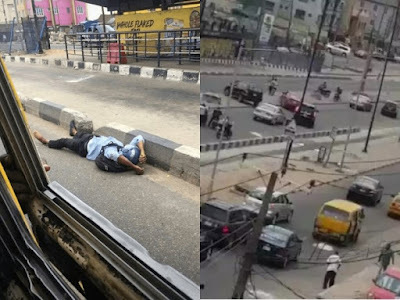 The fracas, according to eyewitnesses, broke out around 11am with sporadic shooting that left people scampering for their lives and the federal road closed down for hours.